If you own your own business, chances are you have supplies and documents that you don’t use all the time but need to keep available for various uses. Depending on your facilities, you may or may not have enough room for your business storage needs. Luckily, you have another option! Read below to learn why Cox Climate Controlled Storage is an excellent choice for your business storage. Traditional commercial business storage options can be expensive. Instead of renting or buying extra office space to store your extra supplies and documents, a business storage unit at Cox Climate Controlled Storage is a cheaper option. Cox Climate Controlled Storage offers a number of different storage unit sizes at affordable prices, allowing your business to choose the right size for your storage needs. Self-storage rates average about 60% less than the cost of most office and retail space. Using Cox Climate Controlled Storage for your business storage also frees up space in your office, retail space, or other commercial facilities. 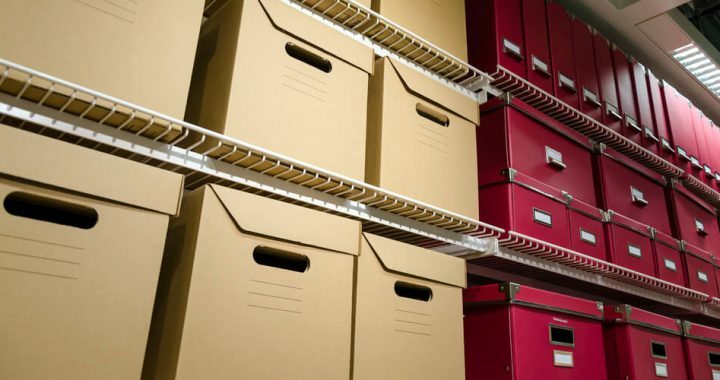 Instead of paying high costs for office space to just keep documents and other supplies, you can store your extra stuff off-site and utilize that would-be storage area to free up space for your employees. Turn that storage space into extra offices, a lounge area, or whatever else your business may need. Closets in commercial offices and retail spaces are often small. While it may work for old files and other documents, if you need to store anything else that doesn’t fit neatly into boxes, the closets can quickly become cluttered and difficult to navigate. By moving your business storage to Cox Climate Controlled Storage, you have more room to store a variety of items. From display units, to trade show displays, to tools and equipment, an off-site storage unit will keep your items safe and out of the way until you need them for your next event or project. Are you ready to free up your valuable commercial and retail space while keeping your important materials safe and secure? Let Cox Climate Controlled Storage help! Our secure storage facilities are climate controlled, meaning that your materials won’t be subjected to extreme temperatures. Our units are also continually monitored and use individual keycards to limit access to your units. For more information on our facilities and our storage units, contact Cox Climate Controlled Storage at 417-633-4791 or reserve your business storage unit online today!